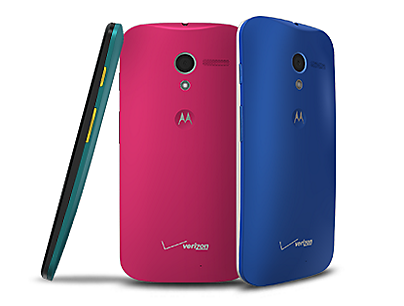 Last week, multiple sources confirmed to us that Motorola would make its MotoMaker service available to the Verizon version of the Moto X on November 11. This morning, a landing page for the device with mentions of the phone being “designed by you with more than 2,000 combinations went live, all but re-confirming that tomorrow should be the day. It’s currently showing as being temporarily out of stock, but that’s likely because everything isn’t quite ready yet. If you cruise over to MotoMaker.com, you won’t see Verizon yet listed as an option. 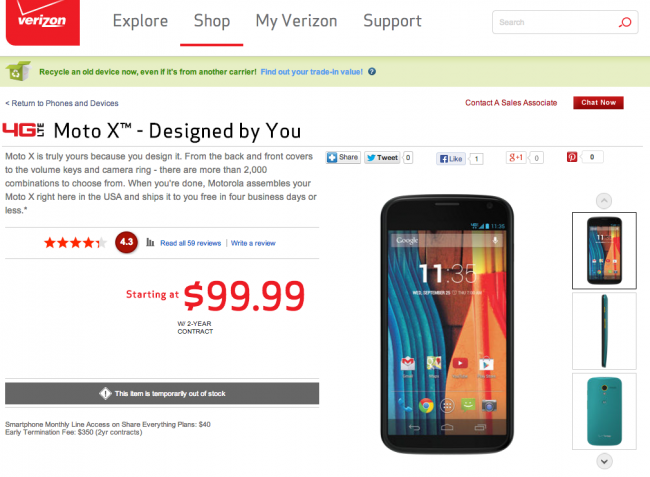 The page gives us the first looks at custom Moto Xs with Verizon branding on them. The AT&T custom versions have their logo globe towards the bottom, while Verizon is going with their standard “Verizon” logo. It even appears as if Motorola is bringing back engravings for the backside, something that was killed prior to launch while Moto worked on improving the process. If you have been holding out for a custom Moto X on Big Red, the time has almost arrived. Get your $99 ready. Update: Annnnnnd they pulled it.